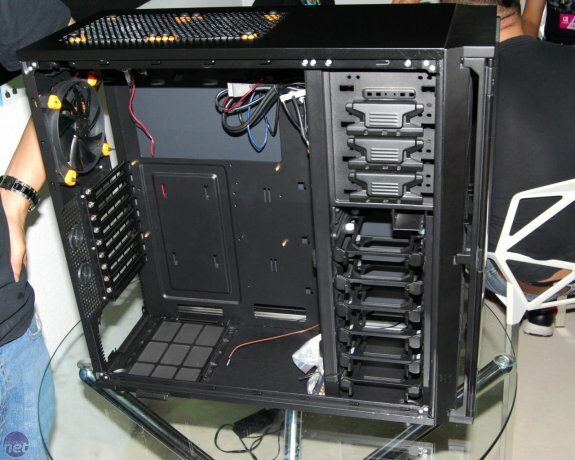 Antec showcased a prototype of its P280 case at Computex. The case uses a single-chamber design to make cable routing easier and similar to its predecessor (the P180) it has a large metal door that can be opened a 270 degrees to lie flat against the left-hand side of the case. 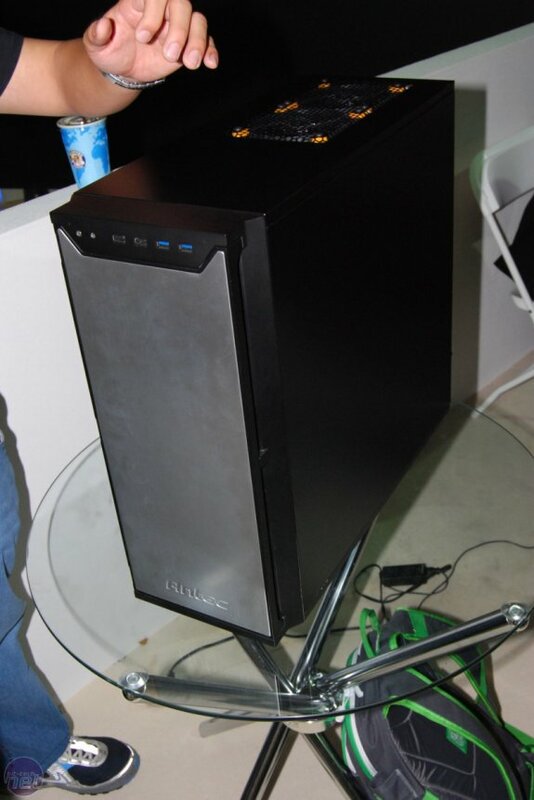 Antec hopes to bring the P280 to market by Christmas, the price tag is said to be around the 100EUR mark. The internal design of the chassis has been significantly changed however, with Antec opting for a single- rather than dual-chamber design. This, Antec explained, was simply to make the cable routeing easier, as it’s no longer necessary to completely isolate the PSU in the way that the P180 did. This is because most PSUs use bottom-mounted fans these days so they can be easily isolated by placing them in the lower corner of a case with their own dedicated intake. The drive bay focus of the case has also changed, with more 3.5in bays and fewer 5.25in bays now available. The cooling available has seen a revamp too with three of Antec’s new silicone-mounted fans acting as exhausts in the top and rear of the case. These are all powered by connections to a small PCB which requires a single Molex connection. In theory, this should lead to less cable clutter in the case.